The Open University in Ireland provides distance learning, higher education courses and opportunities to students across the Republic of Ireland, helping ordinary people achieve extraordinary things. We offer over 570 courses leading to 250 qualifications, which means you re bound to find one that appeals to you at The Open University in Ireland. Our awards are fully aligned with the National Framework of Qualifications, Ireland. The Open University in Ireland offers high quality, flexible distance learning and is open to everyone with the desire to learn. Almost 3,000 students in the Republic of Ireland are studying courses with us to develop new skills or boost their careers. The Open University in Ireland offers everything from introductory courses through to vocational qualifications, degrees and postgraduate degrees. We awards degrees and other qualifications through distance learning. 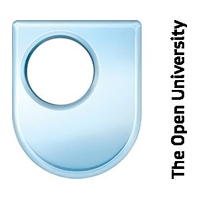 The Open University, voted top for student satisfaction for three years running, could provide the flexibility, qualifications and top-class teaching you re looking for. For most undergraduate courses you don’t need any previous qualifications. And with our world-leading blend of supported open learning and innovative course materials, you ll get an exceptional learning experience. For information about distance learning courses from The Open University in Ireland, view our course listings in the Nightcourses.com Course Finder below. MT127 enables The Open University to award academic credit for specified, non-OU, practice-based qualifications from ICT vendors (eg. Microsoft) that you may already have. This course recognises specified practice-based qualifications that you already have from leading software or technology vendors such as Microsoft and awards academic credit for them. Develop your basic French language skills – speaking and writing – and understanding of France and its culture with this residential week at Caen University in Normandy. Improve your creative writing skills by widening your range – including style, including fiction, poetry, drama and life writing – and developing your individual style and voice. Explore statistical methods for psychological research through advanced data analysis, and consider experimental design in psychology – extending analysis of variance into several advanced topics. Learn advanced mathematical methods with the aid of algebraic computing language Maple, and explore various forms of approximation on this MSc in Mathematics course. This course provides the knowledge, understanding and skills to deploy and manage internal and external routing protocols for large scale inter-networks using Cisco equipment. This course helps you improve your current leadership style, empower others to think innovatively, review your decision making, and build and improve organisational networks. This course – along with DD121 – presents the same materials as An introduction to the social sciences (DD100), but takes a more gradual pace. This course introduces internal and external elements of a business, explains the context in which a business operates, and explores common aims and characteristics. This course will introduce some of the computational modelling and analysis techniques used in engineering the products, processes and systems that support our modern lifestyles. Explore through real-life case studies how we give or receive health and social care services in residential and community settings, hospitals, clinics or GP surgeries. Part of our Common Foundation Programme in nursing, this lively introductory course develops practical caring skills and prepares you for further study towards your diploma. Investigate key areas of the Scottish legal system, including laws relating to employment and children, and consider the role of the Scottish Parliament and Courts. Gain an understanding of statistics, and learn to make use of basic statistical concepts on this introductory course. You’ll need a good grounding in mathematics. This introduction to the object-oriented approach to software, its principles, benefits, techniques and practical applications, gives you practical skills in applying object-oriented analysis and design. This course introduces number theory – which is still undergoing intensive development – using techniques from analysis, particularly the convergence of series and the calculus of residues. This course teaches number theory using techniques from analysis, and in particular the convergence of series and the calculus of residues. Study igneous, metamorphic and structurally complex rocks in their natural settings on field trips at this six-day geology residential school in the Scottish Highlands. Learn to speak and understand Italian in various practical situations, and get a real feel for Italian life with this carefully structured beginners’ course. This postgraduate course examines differential geometry, which dates back at least as far as Euler, and is an amalgam of ideas from calculus and geometry. Discover how models can describe the occurrences of events – from a gambler’s ruin or the positions of plants, to the spread of an epidemic. Complex variable theory pervades many subjects, and this course teaches topics that are useful in the theoretical sciences and of interest in their own right. This course in our Social Work degree programme helps you to understand the application of social work practice and includes a 100-day practice learning opportunity. This introduction to applied psychology explores how psychological theories and methods are used to address real-world problems in clinical, health, occupational and forensic fields. Acquire tools, frameworks and ideas to help you play a more effective role in contributing to strategic thinking within your organisation. This introduction to studying literature – fiction, poetry and drama – considers questions like the meaning of texts, and how a play moves from page to performance. Develop your understanding of the mathematical theory behind many approximation methods in common use. The course is based on M.J.D. Powell’s Approximation Theory and Methods . Develops your awareness of the role of scientific investigation in archaeology and how it provides new insights into the evolution of past cultures and societies. A broad introduction to art history spanning the Renaissance to the present day, exploring different approaches to analysing art through detailed study of individual works. Explore the key media, artists, movements which have revolutionised the concept and practice of art in modern times – from painting and sculpture to performance art. This introductory astronomy course looks at the structure of stars and their life cycles, galaxies and quasars, and the origin and evolution of our universe. This course will develop your confidence in understanding, speaking and reading German, and offers an insight into German-speaking countries and communities. This course provides a concentrated overview of, and practice in, some of the key skills and knowledge required to be an effective project manager. Teaches beginners to speak and understand simple Chinese (Mandarin) in a wide range of practical, everyday situations, and explores aspects of Chinese society and culture. This course offers a structured journey through the world of information – how to search, retrieve and analyse it – and considers developments in the information landscape. This course introduces modern biology, looking at common features underlying the enormous diversity of life forms. It applies these principles to plants, microbes and animals. Learn to speak and understand French in a wide range of practical situations, and explore French life and culture with this carefully structured beginners’ course. Consider the legal principles of contract law and the sale of goods relating to business and consumer transactions, including differences between commercial and consumer contracts. A practice-based course about how five essential organisational functions – human resources; marketing; operations management; information management; and accounting and finance – operate and integrate within business. The course aims to equip managers with the skills to make the business processes in their organisation more effective in meeting the needs of stakeholders. This practical course about sharing and developing personal and professional practice in business is delivered mainly online, building your IT skills at the same time. This course, which develops the theory of the Calculus of Variations and other related topics, is the starting point for our MSC in Mathematics. This course provides development practitioners with a conceptual framework for analysing development management practice; and develops skills and capacities for analytical thinking and strategic action. Examine the issues involved in supporting and caring for vulnerable adults – within families, between friends and neighbours, and within the health and social care services. This course from our BA (Hons) Social Work programme emphasises rights, differences, partnerships and inequalities in delivering sensitive support for vulnerable adults. This certificate provides fundamental accountancy skills. It enables you to go straight into professional training for accounting, or continue with diploma or degree level study. This course provides revision materials and online group activities using problem-based questions, to prepare you for the Professional Certificate in Management examination (modular route). Take a new look at mental health, considering the views of all concerned (especially people experiencing mental distress), debating hotly contested ideas and exploring practice. Examine biological, psychological and social aspects of eating and exercise, and their implications for energy balance; weight control strategies; and policy options for tackling obesity. Introduces some of the main ideas of modern statistics and explores the role of statistics in science generally and medicine in particular. This ‘gateway’ course for our programmes in Advancing Healthcare Practice provides scholarly skills and introduces conventions of critical discourse and interprofessional study at postgraduate level. Learn about the factors that cause and direct chemical reactions – from those in a car exhaust to those in the complex natural system of the atmosphere. Discover how psychological enquiry can help us to improve our understanding of the personal, social, cognitive and linguistic development of children and young people. This interdisciplinary introduction to childhood and youth studies explores what it means to be a child today, with contrasting case studies from round the world. This course engages with a range of critical perspectives on children’s lives and experiences in the contemporary world, at national and international levels. A broad introduction to the vibrant field of children’s literature studies encompassing eighteenth-century fairy tales to examples of contemporary fiction illustrating current trends. This course provides the skills needed to configure a LAN/WAN using Cisco equipment, and prepares you to sit the industry-standard CCNA certification examination. Undertake research in your own classroom or school, reflect on your professional practice, and evaluate your contribution to school improvement and pupil learning. Explore the theory of error-detecting and error-correcting codes, investigate the bounds of these codes, and discover how they can be used in real situations. How does memory work’ How do we understand language’ How do we think’ Examine theories, evidence, arguments and methods of cognitive psychology, neuropsychology and neuroimaging. Consider how and science is communicated between professionals and to members of the public – from academic journals to popular science books, TV and news reports. Learn about new developments in the digital communication and information technologies that are rapidly transforming modern society. Investigate communication – interpersonal, institutional or social – in health and social care contexts, explore how practice can be improved, and reflect on your own experiences. This introduction to new thinking on crime prevention, safety and risk management considers contemporary contexts of crime reduction and community safety in Britain and abroad. This course addresses fundamental issues of the law in relation to business organisations, including the consequences of a company failing to meet legal standards. This course develops the theory of functions of a complex variable, emphasising their geometric properties and indicating some applications. Explore and experiment with mathematics and dynamical systems using Maple , a software package that allows computers to manipulate, evaluate, and graphically visualise mathematical expressions. If a criminal stole your organisation’s data, could you detect it’ This course gives you the grounding you need to investigate forensic computing incidents. This course explores the diversity of computer applications and describes the fundamental components of computer systems, covering topics such as operating systems, processors, and memory. This course offers a work-based approach to becoming a computing professional for employees or volunteers working in IT-rich environments, mapping activities against industry-wide standards. Transform a preliminary research proposal into a comprehensive research project plan, in this second of two courses preparing you for ethical and effective healthcare research. Investigate key issues in contemporary science teaching, including the influence of theories of learning; the purposes of science education; and using ICT to support learning. Build on your knowledge of Latin grammar and vocabulary and learn to read and appreciate the great works of Roman literature, from Catullus to Virgil. Audit and assess the impact that your continuing professional development (CPD) activity has had on your work, and evaluate ways of sharing your learning. This practical creative writing course identifies your strengths and interests, and helps you develop as a writer of fiction, poetry, biography, autobiography or travel writing. This interdisciplinary course is about managing innovation and change, sustaining a creative climate in your organisation, and promoting imaginative, flexible and practical thought and action. Learn to reflect critically on social work practice, including your own; develop analytical, evaluative and research skills; and develop as an independent learner. This course for Social Work students in Wales supports you in becoming a confident, critical, analytical practitioner, and to apply critical reflection to your practice. Develop the skills you need to speak and understand simple Welsh in everyday situations, while gaining a real feel for Welsh society and culture. Consolidate and apply your knowledge gained from other courses in the Cultural and Media Studies MA, and develop skills useful for employment or further study. What did it mean to be ‘Roman’ in the Roman Empire’ Examine the different effects of imperial power on conquests from Britain to North Africa. Focus on current practice in public management and social enterprise in areas such as partnership and multi-agency working, evidence-based management, stakeholder engagement and governance. This course enables teachers and education professionals to analyse, evaluate and develop their own and others’ practice and enter debates in teaching, learning and assessment. Explore Charles Darwin’s theory of evolution by natural selection, set out in his book On the Origin of Species , and its consequences for life today. This data, computing and information course explains how computers work, how mechanisms are embedded in hardware and software, and how to write simple programs. Describes how relational databases can be used to maintain persistent data in software systems. This short course in our Certificate in Web Application Development introduces the basics of database design within websites, and explores the ColdFusion server extension. Explore how society handles death, how care for dying people has changed, the impact of palliative care, and the complex ethical dilemmas involved in decision-making. For experienced youth justice practitioners involved in assessing and planning interventions for young people in the context of the Youth Rehabilitation Order. Discover the design processes that generate products, gain an understanding of basic design skills, and find out what being a designer involves. This online course explores the elements of web page and website design, using its own course website, and supported by an expertly- moderated online forum. Explore the common principles of design, acquire new designing skills and develop an understanding of ways of thinking that lead to innovation and creative solutions. Learn to write small applications using Visual Basic Express and object-oriented programming, from a simple traffic survey to more complex, database-linked applications. Explore fundamental questions relating to the early stages of research design, and premises about science, research and health care that underpin development of new knowledge. Develop your performance in practice, theorise practice and develop nursing skills in this first practice-based course in the Adult Branch of our Pre-registration Nursing Programme. Develop your understanding how people learn and use algebra at Key Stages 2’4, and of different teaching constructs and principles. classes, polymorphism, packages and access modifiers graphical user interface components, event handling techniques, and the use of exceptions the use of Java APIs, such as the Collections package. This course focuses on the nutrient and non-nutrient composition of food, enabling you to appreciate the role of chemical analysis in making safe, wholesome food. Explore basic aspects of food microbiology, including detrimental and beneficial micro-organisms, and learn about food hygiene in terms of premises, equipment, cleaning and disinfection. Develop your skills in preservation and packaging techniques and the microbiology behind the methods, and consider the issues of shelf-life and the recycling of packaging. Develop your understanding of the learning of geometry at Key Stages 2-4, explore a range of different teaching approaches and develop your geometric thinking. Well-informed leadership is an essential component of effective nursing practice and health care delivery. This course will acknowledge and develop your professional leadership skills. Develop your understanding of the mathematics that underpins Key Stage 3, and explore a range of teaching approaches on this one-week residential course. Develop your knowledge, practical skills and evidence-based care in mental health practice, in this first course from the Mental Health Branch of our Nursing Programme. Understand how your own and other people’s skills contribute to the delivery of effective healthcare practice and support collaborative achievements. Improve your practical health science skills and develop your understanding of the science and theory underpinning them with this work-based course. A work-based course covering the science underpinning work in perioperative care – includes introductory biochemistry and enzymology, haematology, histology, pharmacology and pathophysiology. Improve your practical paramedic skills and develop your understanding of the science and theory underpinning them with this work-based course. This foundation course for our MSc in Development Management gives a grounding in development studies and explores the meaning and challenge of international development today. Explore how people with diabetes can be supported to make informed choices about treatment and lifestyle; and medical, social and psychological aspects of the condition. Explore appropriate curriculum responses to the needs of children as well as the wider issues relevant to adults who experience difficulty in literacy development. This visually-focused, online course for the beginner or keen amateur will develop your technical, visual and creative skills in creating and sharing digital images. Discover how computer games and interactive digital experiences are designed, made, marketed and played. This course focuses on the varied traditions around meaning-making, including socio-linguistics, conversation analysis, critical discourse analysis, discursive psychology and genealogical research. Introduces and helps integrate key ideas from statistics, algebra, geometry and trigonometry into your everyday thinking to build your confidence in learning and using mathematics. Undertake independent study of the history of modern geometry or advances in approximation theory, culminating in a dissertation on a topic of your choice. This one-year research dissertation project completes the Masters in Advancing Healthcare Practice, deepening and diversifying your understanding of advancing practice, project planning and decision-making. Explore how social, environmental, economic and political factors shape and constrain our understandings and experiences of mental health and distress, using service users’ own accounts. Examine the various economic theories that explain people’s behaviour in households, businesses and governments and make critical judgements of which alternative best serves which purpose. This week-long residential school is an ideal opportunity to develop skills of analysis, argument and writing needed to do philosophy, which thrives on discussion and debate. Explores the complex process involved in the discovery, design, development and synthesis of new drugs for use in healthcare and disease-prevention. This project-based course focuses on the research process with children and young people. You’ll develop your own research skills, focusing on an early years topic. Investigate causes and consequences of international environmental problems and resource conflicts, including loss of biological diversity, water allocation and urbanisation – focusing particularly on climate change. This course explores the driving forces behind developments in ebusiness, introducing the fundamental technologies and protocols upon which new systems and services can be built. Explore the interactions between organisms and their environment that together form an ecosystem – from simple microbial communities to entire rainforests, and even the Earth itself. How far is your classroom ‘inclusive” This course in our Chartered Teacher Programme for teachers in Scotland explores issues of equality, discrimination, and social justice. This course for teachers in Scotland who have successfully completed Self-evaluation (EE851) or equivalent, considers diversity in education and ways of overcoming barriers to learning. Explores the relationship between education and development through topics such as teachers, use of new technologies and gender equality in education. Explore educational enquiry, including data processing and analysis, and learn effective techniques for reading, assessing and reviewing research literatures with this introductory masters-level course. Examine different leadership ideas and theories, identify those of most value to you, and develop your own leadership practices and skills with this practical course. Develop the knowledge and skills needed to work effectively in youth Offending Teams (YOTs), and gain the Professional Certificate in Effective Practice (Youth Justice). Explore the electromagnetic fields and radiation that pervade the world around you, their encapsulation in Maxwell’s equations, and how they explain dozens of interesting phenomena. Explore electromagnetism through experimental physics at this residential week – developing your understanding of electromagnetic concepts, showing how our knowledge is based on observations. Explore how forensic scientists work and how chemistry, DNA and genetics are used in crime scene investigations. Explore the extraordinary world of microbes – the history of their discovery, their practical uses and even the possibility of their discovery on other planets. Explore the astonishing impact empires (British, French, Russian, Chinese and others) have had on the development of the modern world over the last five centuries. This course considers the development and characteristics of the modern employment relationship. It examines issues such as discrimination, breach of contract, unfair dismissal and redundancy. Develop your confidence in understanding, speaking and reading Spanish, while gaining an insight into Spanish and Latin American society and culture. Is environmentally sustainable energy just a pipe dream’ Explore the sustainability problems of current fuel use, and examine more efficient use of energy, including renewables. Learn to measure how much energy your home uses, take control of your domestic energy consumption, reduce your ecological ‘footprint’ and cut your home energy costs. Improve your performance at work while gaining academic credit for the practical and professional skills learned and developed in your engineering workplace. This one-week residential school course will help you develop a range of essential practical and intellectual skills relevant to engineers and students continuing in technology. This course examines the development of micro- and nano-scale devices in terms of their engineering and operation, through detailed study of real devices. This course offers an introduction to what engineering is and how it is practised in modern society, and looks at developments that will shape the future. Explore how engineers find solutions for technical problems, studying aspects of the mechanics of solids and fluids and the structure and properties of materials. Develops the skills in written and spoken English that are required to study successfully at MBA level and to communicate effectively in a global business environment. Develop the specific language skills you need for successful academic study in English. Understand how English ‘works’ in a wide range of contexts, including the media, academic writing and everyday conversation, on this practical and intellectually stimulating course. Develop your confidence in practising sensitively with babies, children, young people and their families and undertake a critical examination of family-centred health care. This course emphasises sustainable production and product stewardship. It covers concepts such as environmental management systems, life-cycle assessment and corporate disclosure (environmental reporting). This course introduces a wide range of environmental concerns, exploring and debating our responses to them and investigating their scientific, technological and social backgrounds. Introduces studying the environment and explores the issues arising from environmental change and the ways in which these challenges are being addressed. Undertake practical fieldwork and supplementary laboratory experience appropriate to an Earth sciences degree, investigating the interpretation of fossil environmental indicators, with this six-day residential school. Gain an understanding of environmental and pollution management; how our natural resources are affected by human activity; effects of pollution on health; monitoring and legislation. This course uses systems ideas to explore environmental decision-making situations, to make sense of their complexity and to look for feasible changes and action. Drinking water supply, air quality management, noise control and solid waste are the main themes of this course, concluding with an environmental impact assessment project. This course is about understanding and taking responsibility, individually and collectively, for policy and action relating to environmental dilemmas, from climate change to biodiversity loss. This wide-ranging course draws together biology, chemistry, Earth science and physics. It fosters a holistic approach, studying the processes that link together different environments. Gain practical observational, data gathering and analytical skills for studying landforms, soils, water and vegetation in this in this one-week, field-based environmental science residential school. Extend your French language skills and cultural knowledge with this upper intermediate course, which includes a residential school in France (or online alternative). This short online course about ethics at work is designed to support professionals who encounter complex, important and topical ethical issues in their practice. A short course about ethics and decision-making, relevant to everyone. Explores end of life issues, plagiarism and copyright, and the responsibilities of companies and shareholders. This course introduces ethnography, an approach to researching social worlds that is characterised by the central role of the researcher and multiple data collection methods. How do individuals come to define who they are’ What does it mean to be European’ This interdisciplinary course examines the complex nature of identity. Investigate evolutionary science’s key concepts, including natural selection, and how these account for the characteristics of living organisms and the history of life on Earth. Investigate the experience of being and becoming old; using care services; philosophies, structures and values that determine the status of older people; and ethical dilemmas. Discover how cognitive neuropsychology and connectionist modelling inform our understanding of how the brain might work and what goes wrong when it is damaged. A wide-ranging introduction to the study of European and Atlantic history – medieval to modern – and the techniques of professional historians, connected by common themes throughout. This course explores current thinking about the fundamentals of IS, data and information, the nature of modern information systems and the technology that underpins them. Exploring mathematics gives you a good understanding of the nature and scope of mathematics and a solid foundation for higher-level mathematics and physics courses. Examine a project theme around your own practice in health or social care, develop an action plan and explore the implications for change and improvement. This thorough overview of psychology introduces biological, social, and cognitive psychologies – exploring areas relevant to your daily life such as identity, learning, memory, and language. This online course builds on your study of DSE212 Exploring psychology , developing your skills in psychological research, and exploring the practical and ethical issues involved. This residential course builds on your study of DSE212 Exploring psychology , developing your skills in psychological research, and exploring the practical and ethical issues involved. Develop key scientific skills and explore a range of fascinating concepts and topics, including genetics, drugs, global warming, atoms, and the origin of the Universe. This online course for sports fans – spectators or competitors – introduces the study of sport from the perspectives of the individual, the team and society. Explore sustainable development by researching and writing a dissertation of up to 15,000 words, based either on values and sustainability ; or the challenge of integration . Develop your interest in classical Greece and Rome, studying everything from Homer to Roman social history, and evaluating ancient sources from poetry to archaeology. This interdisciplinary course is for anyone interested in the English language – its history, influence, past and present usage, and how it can be analysed. Learn practical experimentation, problem-solving, recording and reporting techniques in inorganic, organic and physical chemistry at this one-week residential-school, which complements The molecular world (S205). This introduction to family studies focuses on what ‘family’ means in our everyday lives, in family research and statistics, and policy and professional practice. The social and cultural influence of film and television has been enormous in the Western world. Explore how and why, and how audiences have reacted. Get to grips with financial management with this introduction to finance for non-specialists, covering budgeting, making a business case for resources, and measuring financial performance. This course will help middle and senior line managers develop their knowledge of finance and accounting and how they interact, in public and private sectors. This introduction to the food production and supply chain known as ‘farm to fork’ covers key features of the chain, food labelling and contamination risk. This course analyses the problems arising from product failure caused by inadequate materials, poor manufacturing or bad design – and offers guidance on good product design. Examine important questions and issues in the psychology of witnessing, legal decisions and expertise in court. Discover how organisms become fossilised, how to identify the common fossils you are likely to find and where they fit into the story of evolution. This course will equip you with the knowledge, skills and insights that make up the foundations of effective practice in the field of youth justice. Develop the foundation knowledge and skills of social work, with particular emphasis on key roles: Prepare for assessment of need ; and Support representation and advocacy. This course examines the theory of fractals – whose geometry cannot easily be described in classical terms – and studies examples to which it can be applied. Examine the processes by which music is created and transmitted – composition, improvisation, performance, editing, and publication – across a wide variety of musical traditions and periods. Develop your critical understanding of this crucially formative period in modern European history, through key texts associated with the epoch-making transition from Enlightenment to Romanticism. This course, based on Elements of Functional Analysis by I.J. Maddox, examines sets of functions, and looks at mapping from one set to others. Acquire practical skills and theoretical tools to analyse, design and evaluate interactive products that surround our everyday lives – from websites to drinks dispensers. This course gives you a thorough grounding in management concepts and principles, from management context and practice, to improving performance, project management and managing change. Introduces the fundamentals of scientific study of the Earth and the practical skills required understand and interpret geological features and processes. This online Continuing Professional Development course examines different ways of communicating with employees, and the business benefits of communicating more effectively. Investigate the origins of the EU, motivations for its creation, the history of successive EU enlargements, and issues like the Euro, immigration, and national identity. This course is about using ideas from discrete mathematics to model problems, and representing these ideas through diagrams, showing anything from chemical bonds to transport systems. Examine the construction, recognition and classification of geometric structures including tiling and wallpaper patterns, and algebraic entities including symmetry and other groups of low order. Explore the science underpinning your work; the IT and numerical skills needed to be a safe, confident practitioner; and the communications skills vital to healthcare. A course for anyone passionate about heritage and its management, helping you understand key issues affecting heritage decision-making and apply them to your own interests. How can supply chain ideas help you? This short, lively introduction to cosmology and particle physics will develop your understanding of astronomy, space and the universe – past, present and future. Examine principles and processes of designing and analysing surveys, for developing new services or measuring responses to services, and how to apply them in practice. This course, focused on the role of manager and/or specialist in coaching staff, helps you develop personal coaching skills and encourage them throughout your workforce. How well do you communicate? Interpersonal communication at work. Whatever your line of work, good interpersonal communication skills are essential for success. This course helps you communicate better with colleagues, customers and external stakeholders. Explore human biology in relation to health and disease, how systems of the body interact, how they can fail, and how medical interventions can help. This course in our nursing programme explores human biology in relation to health and disease, how the body’s systems interact, and interventions when they fail. Examines DNA, how genes function, genetic diseases, the Human Genome Project and some of the biological, medical and ethical issues surrounding research into genes. Information and communication technologies (ICTs) are powerful drivers of change. This course enables you to deal with and lead change through projects in the workplace. Explore social identity, ‘socialisation’, subjectivity and personhood, and learn how to assess the value of different theoretical frameworks for understanding identity with real case studies. Explore the diagnostic and therapeutic use of medical imaging – including X-ray; ultrasound; magnetic resonance and radionuclide – and consider the risks and social issues involved. This short course helps you develop effective negotiation skills for your own work setting, using case studies to explore stages of negotiation and negotiation techniques. Explore how inclusive approaches to education meet the needs of learners who encounter difficulties, whether related to disability, learning difficulty, or other aspects of diversity. This course approaches infectious disease from several perspectives, including the biological. It explores the causes and control of disease and its interaction with the human immune system. This course will provide you with tools, frameworks and ideas to help you influence strategic thinking and contribute to strategic decisions as a finance professional. This course enables you to gain academic credit for learning at work, in a role currently involving you in use of and/or management of ICTs. Gain knowledge and skills to plan the implementation of an information security management system that provides efficient, effective safeguards fit for your organisation’s needs. IS evolution can be seen in two ways, planned and unplanned. This course discusses both, helping you understand their nature and giving you workplace techniques. Explore how collaborative working can improve practice, advance healthcare delivery and address service users’ needs; and learn to develop and organise successful practice innovations. This project-based course looks at how successful innovations emerge, and how innovation can be directed towards ensuring a socially, economically and environmentally sustainable future. Discover how the latest developments in elearning are changing relationships between teachers, learners and technology, and why some innovations are adopted more readily than others. Develop the conceptual and practical skills needed to frame, manage and negotiate institutional development, change organisational structures and adopt new norms and values. This course explores health, safety and environmental management, including how standards are set, approaches to risk assessment, control strategies and emergency planning. An introduction to systems integration; the technologies used, including application servers, integration servers, XML, and web services; and the organisation of systems integration projects. This course introduces the main issues associated with meeting the challenges of international development, in the context of changing global, political and economic circumstances. Explore astronomy and be amazed by planets, stars, stellar explosions, distant galaxies, extraterrestrial life, and the ‘big bang’ theory of the origin of the Universe. This friendly introduction to the study of the environment explores topics like the biology of ecosystems and food chains, biodiversity, ecological sustainability and fossil fuels. Explore scientific and social aspects of disease and disability through issues like water and health; pain; alcohol; cancer screening; lung disease; trauma; and visual impairment. This experiential learning (APEL) route enables you to collect and record evidence of competencies in health and social care practice, and reflect on your learning. Demonstrate how the experience and knowledge you already have contribute towards the professional learning outcomes for nursing; write and compile a personal portfolio of evidence. This course introduces six major religions: Buddhism, Christianity, Hinduism, Islam, Judaism and Sikhism; exploring beliefs, practices, concepts and principles and their influence on world affairs. An ideal introduction to the disciplines that make up the social sciences – psychology, social policy, criminology, geography, environment, politics, international studies, economics and sociology. Introduces the disciplines that make up the social sciences – psychology, social policy, criminology, geography, environment, politics, international studies, economics and sociology. This short course will give you a good grounding in double-entry bookkeeping and the production of basic financial statements, and an introduction to financial accounting. This accessible introduction to the theory and practice of counselling is primarily academic, but will also develop your awareness of the basic skills in counselling practice. Explore the historical development of financial services in the UK and examine how the sector is currently structured and regulated. This broad introduction to survey research and statistical analysis at postgraduate level covers sampling, questionnaire design and construction, interviewing, and qualitative methods such as ethnography. Whether your interest in sport and fitness is general or professional, this course covers key issues from health and nutrition to safety and customer care. This course is designed to familiarise newly appointed travel plan coordinators with crucial aspects of travel planning, and to broaden the knowledge of existing coordinators. Understand the key principles and ideas which underpin work with young people, and learn to take a reflective stance towards your own and others’ practice. Develop the skills needed to work effective with young people – individually and in groups – and enhance the quality of the relationships you build with them. Explore key principles and ideas underpinning work with young people, and take a reflective stance towards your own and others’ practice in this APEL course. If you’re considering starting your own venture, this course helps you test your ideas to arrive at a business proposition with ambitious yet attainable objectives. This masters level course examines and reflects on the nature and use of language in action, and develops your skills in analysing English texts. Conduct an investigation in the social sciences using publicly available information from various sources, including academic journals, government websites, special interest groups and individual experts. This course explores debates around the role of Islam in western societies and what it means to be a Muslim in Europe or North America. Draw on biological and social sciences to investigate addiction and neural ageing; including neurobiological and psychological factors, treatments and therapies, and the role of genetics. Building on the philosophy foundation course, explore issues going beyond simply academic philosophy – citizenship, nationalism, democracy and more – developing your critical skills in the process. This course introduces you to managing international resource allocation and investment both externally via the capital markets and lending institutions, and internally within the organisation. Add international accountancy and finance knowledge to your management skills, examining accounting issues that affect the analysis and interpretation of financial statements of multinational companies. Our flexible PGCE offers an individual path to becoming a secondary teacher (11-18 year-olds), incorporating qualified teacher status (QTS) and a Postgraduate Certificate in Education. Investigate how to keep pace with rapid changes in ICT, and how to use ICT successfully in complex systems where people play a major part. This course develops and assesses your reflective and key skills, leading you towards corporate membership of an engineering institution and Incorporated or Chartered Engineer status. With its international focus and an emphasis on social perspectives, this masters course will deepen your understanding of language and literacy in a changing world. Examine the two Foundations of Legal Knowledge covered by the Law of Obligations – Contract Law and the Law of Tort – and the law of restitution. This course examines the Foundations of Legal Knowledge in land law, and equity and trusts, looking at a variety of issues concerning ownership and trusteeship. This course builds on Understanding law (W200) and examines a further two Foundations of Legal Knowledge: public law and criminal law in England and Wales. This course helps you improve your current leadership style as a finance professional, empower others, review your decision making, and build and improve organisational networks. This masters-level course will develop your understanding of current thinking on educational leadership and management, and encourage effective integration of theory and practice. Critically analyse practice, examine local healthcare contexts and plan change, working collaboratively with healthcare colleagues – focusing on the rationale for change and its successful management. This online course provides you with tools, frameworks and ideas to help you to lead change initiatives effectively as a manager of your organisation. Examine the leadership roles practitioners take on in work with young people, and deepen your understanding of the policies, practices and contexts of such work. This hands-on, work-based course focuses on effective leadership and management practice in working with young people, and develops your practical and analytical skills. Build on your experience in this examination of the leadership roles practitioners adopt and develop your understanding of the policies, practices and contexts of working with young people. This course in our Chartered Teaching programme (for teachers in Scotland) examines perspectives on learning, teaching and assessment and encourages reflective practice. Information systems are particularly prone to failure. This course looks at how to prevent it, in the design, implementation and operation of information systems. Build on your existing knowledge, skills and qualities to achieve positive change – considering the options open to you and making plans for the future. Become an effective leader in your school: this course explores the diversity of leadership, and supports you as you reflect on your own professional practice. A fascinating voyage into the oceans; explore the seas and marine environments using material from the spectacular Blue Planet BBC TV series. Explore situations where a response variable depends on explanatory variables – such as how different strains of wheat compare when grown in various conditions. This course uses geographical concepts to help you make sense of our complex, globalised world and the processes and patterns that shape it. This exciting course considers the ways in which political ideas ‘live’, demonstrating their relevance for understanding contemporary issues in national and world politics. Focusing on controversies, religion from the nineteenth to twenty-first centuries, and methods in Religious Studies, this course will help you prepare for your dissertation. Take stock of your skills, plan for your personal and career development and gain 30 higher education credit points, by drawing on previous learning experiences. This course focuses on a management initiative of your own choosing, consolidating your ability to make a difference to organisational performance as manager or leader. Make a difference to your child-health nursing practice through a critical understanding of leadership, strategic thinking and the management of change. A practical, work-based course about leadership and change practice – about making things happen – applicable to your current and future roles, whether paid or unpaid. Explore the origins and development of strategy as a subject and how organisations and individuals try to interpret and exploit opportunities and strive for success. Discover key ideas and ways of thinking about the arts and humanities – including poetry, history, and art history – while developing your study skills. Explore how we operate in social worlds and how social experience is shaped and made meaningful. Topics include immigration, medicine, family, money and reality television. Develop an understanding of how research is carried out in business and management settings, and some of the problems and issues you’re likely to face. The first of three practice-focused courses leading to the Professional Certificate in Management. Investigates organisational behaviour and human resource management, focusing on your own role. This practical course from our Professional Certificate in Management programme covers topics in marketing and finance through activities and problem-solving, focusing on your own role. Consolidate the key learning points from your previous management studies and integrate organisational, people, customer and financial based perspectives of the managerial role. Designed to support anyone running a small- or medium-sized professional service business, this online Continuing Professional Development course will help you address key management issues. This course focuses on managing behaviour at whole school, classroom and individual student level, and will suit professionals in both mainstream and special schools. Gain the knowledge, skills and analytical tools needed to become an effective frontline manager in a range of care settings and reflect critically on practice. Working on your own project throughout this course, you will practise and develop your systems thinking and project management skills in handling complex issues. This course explores the meaning of effective management in health and social care services; investigating team working; change implementation; communication; decision making; and controlling budgets. This course about management skills and ideas is ideal if you’ve completed NVQ Level 3 in management, work in delivering public services and want to begin undergraduate study. Develop a broad view of knowledge management – including communication, sense-making, learning, intangible assets, human resources, and knowledge technologies – and learn how to ‘make a difference’. Gain the tools and techniques you need to identify objectives; understand, monitor, measure and manage performance; and identify how your own practice fits in. Get the tools and techniques needed to improve performance in your team, department, organisation or project, and develop advanced skills in areas like change management. Improve performance in your organisation through the people you manage, focusing on agreeing objectives, and setting up effective mechanisms for monitoring and reviewing progress. Develop your understanding of systemic inquiry, systemic action research and social learning in order to extend your skills of project, programme and change management. Explore the acquisition, management and development of complex software systems for organisations, from procurement and maintenance to managing resources, change, quality and risk. This course approaches manufacturing processes, selection of materials and design of components as facets of the same task: making something that serves its purpose efficiently. Explore the theory and practice of responsible marketing, the interrelated areas of corporate social responsibility and marketing ethics, and the emergent area of social marketing. Although there are no simple solutions, this course provides the analytical tools needed to make marketing decisions in an increasingly complex and uncertain world. Improve your business’s competitive advantage through marketing ideas and techniques, including market research, segmentation, the marketing mix, quality, the wider environment, SWOT analysis and audit. Solve real problems by transforming them into mathematical models and learning methods of solution, including vector algebra, differential equations, calculus, matrices and numerical methods. This residential course equips you to tackle data and sensitivity analysis by introducing you to mathematical modelling and helping you write a short technical report. This introductory course will develop your confidence in using mathematics as a tool in science. Explore commonalities and diversities in older people’s lives; working in alliances to deliver health and social care services; and placing service users at the centre. This fascinating introduction to medical history explores the social, political and economic contexts of western medicine and its interaction with contemporaneous science, religion and philosophy. Advance your mentoring effectiveness by improving your workplace as a learning environment, using your skills as the key resource for helping mentees develop their own. If you support and assess learners in practice in health and/or social care settings, this course will help you become a credible, effective, valued mentor. Examine the vital role metals play in living systems and their processes – for example in respiration and photosynthesis – and consider their increasing significance in medicine. Extend your French language skills – speaking, listening, reading and writing – develop your knowledge of contemporary French culture, and complete the Diploma in French. Examine the processes common to all life forms, with emphasis on animal cell biology, learning about molecular biology and cell functions, differentiation, ageing and tumorigenesis. Investigate the molecular basis of human disease, including how variation or mutation at the gene level affects protein function, at this week-long residential school. Examine the molecular basis of drug action in medicine, covering topics like infectious diseases (bacterial and viral), cancer, heart disease, inflammation and neuropharmacology. Explores the discovery and development of a range of drugs and medicines that relieve pain, alleviate symptoms, minimise the risk of infection and effect cures. Extend your German language skills and cultural knowledge with this upper intermediate course, which includes a residential week in Germany (or online alternative). Plan and carry out an investigation of your own choice with this masters-level project course in science, and develop essential skills like report writing. This research course enables you to gain an MSc by building on the postgraduate diploma that you already hold. You’ll develop and submit a dissertation. This course introduces the control aspects of multi-service or any digital communication networks. You’ll explore issues such as service quality, traffic flow and network management. This professionally-focused course introduces the structure and characteristics of digital communication networks and the requirements of supporting multiple services. This course will give you with the knowledge, understanding and skills to deploy reliable, scalable and secure multilayer-switched campus LANs using Cisco equipment. Explore one of humanity’s oldest dreams – the creation of intelligent machines – taking in ideas from biology and philosophy as well as computing and technology. Learn about the nature you can find in your neighbourhood – explore different types of habitat and study the plants and animals you find there. How do networked systems work’ This course looks inside ICTs in contexts like entertainment, transport and health and considers where they might take us next. Relevant to scientists, engineers and mathematicians, this introduction to basic theory and simpler approximation schemes covers systems with two degrees of freedom. Gain an insight into two branches of very pure mathematics that have both historical and philosophical significance, and feel confident tackling number-theoretic problems. This exploration of contemporary nursing investigates the personal, professional and policy dimensions of healthcare, and encourages you to reflect on and develop your own practice. classes, interfaces, polymorphism, re-use of code, static methods and variables. Along the way, you’ll learn about creating your own classes, about the facilities of Java for selection and iteration, and more about some of the core, provided Java classes. Gain experience of doing practical astronomy and planetary science under professional supervision at the well-equipped Observatori Astron’mic in Mallorca on this one-week residential school. Oceans cover seventy percent of the Earth’s surface. This course investigates their physics, chemistry and biology, and the structure of the basins that contain them. Build your confidence in mathematics, learn to use a graphics calculator, and start to incorporate statistical, graphical, algebraic, trigonometric and numerical thinking into your everyday life. This course in our Certificate in Web Applications Development introduces the Open Source movement: its origins and aims, and principles of software development and distribution. Examine techniques used in numerical analysis and operational research to represent real optimization problems as mathematical models, to be solved with a computer. Undertake an intensive laboratory-based project, learning experimental methods and principles involved in the multi-step synthesis of organic compounds in this one-week residential course. This course explores the structure of the Earth from its core to the atmosphere, and investigates how the Earth system works from a geological perspective. This course will develop your confidence in understanding, speaking and reading simple French, and offers an insight into French-speaking societies and French culture. Study musical performances – Western, non-Western and popular – in relation to the environments and institutions in which composers worked, pursuing your own enthusiasms through the course. This course has been designed for undergraduate engineers who are interested in assessing plans for their professional development and extending their capabilities as lifelong learners. Explores some of the concepts that underpin investment planning and examines how investment planning decisions are affected by economic uncertainty. Further your professional development and explore reflective practice in work with young children, with this work-based opening course in the Foundation Degree in Early Years. Debate the controversial issues surrounding complementary and alternative approaches to health, including whether CAM works, and how it can be integrated into mainstream provision. A course about adventurous polymath Leonardo da Vinci – inventor, artist and scientist. Places him in historical context and examines selected examples of his work. An introduction to philosophy grounded in familiar questions about our own situation, including attitudes towards animals, the acceptable limits of individual freedom and environmental ethics. This one-week residential school provides a fascinating introduction to experimental physics, with hands-on experience of practical techniques and experiments, in well-equipped laboratories under professional supervision. Learn about the planets and planet-sized objects that orbit the Sun, and delve into our advancing knowledge of the planets of other stars. Learn the methods and principles of investigation into the biochemistry of plant pigments and photosynthesis at this practical, laboratory-based residential week. This course introduces key approaches to the social sciences, international politics and media studies by exploring the geopolitical causes and consequences of 11 September 2001. Learn to speak and understand Spanish in various practical situations, and get a real feel for Hispanic cultures with this carefully structured beginners’ course. Develop your expertise in supporting higher education students (whether through teaching or in other ways) by investigating learning in distant, virtual, blended and face-to-face contexts. Prepare for higher level study of art history by learning about methodological approaches, from biography and iconography to feminist art history and the ‘period eye’. Study the ancient world through four interdisciplinary topics – social history, ideas and values, literature and archaeology – honing your research and analysis skills in the process. Find out how music research informs the study of musical performance through examining sources from recordings to ethnographies, across music from many periods and styles. Gain postgraduate-level skills in research, analysis and presentation of an argument, and explore some of the contemporary debates in philosophy on the theme of personhood. This fresh look at politics explores institutions and ideas – from parliament and the inner workings of power to decision making, protest and the street.